I've posted a new screencast that shows you the ins and outs of Photo Downloader, the bundled app that comes with Photoshop and enables you to organized your workflow during import. I also demonstrate how to add your copyright and how to simultaneously back up your photos to another drive, all automatically during the downloading process. This screencast is based upon Chapter 2 of The Photoshop CS4 Companion for Photographers, and is free for the downloading. 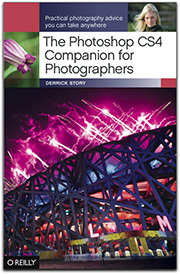 The Photoshop CS4 Companion for Photographers is now in stock on Amazon.com. The CS4 guide designed specifically for photographers is selling for $16.49 US. It fits nicely in the laptop bag and contains everything you need to know to get started with CS4, or to decide if you need to upgrade. When I show this workflow, I almost always get the response, "Wow, I didn't realize Photoshop could do all of that." It can. I'll keep you posted on how the sessions go over today. 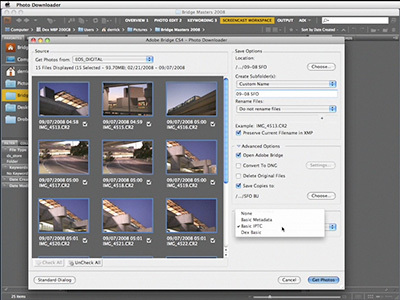 The Photoshop CS4 Companion for Photographers shows you the complete workflow for Photoshop CS4 in a pocketable guide that fits in your laptop bag. I'm in New York now and will be heading over to Javits Convention Center soon for three days of PhotoPlus Expo. This is a terrific event for photographers, both on the floor and in the sessions. I can be your eyes and ears while working here. So if you have a burning question that I might be able to find out about while exploring the Expo floor, post it here. I'll do what I can and include what I find out in next Tuesday's podcast wrap-up from the event. I've posted a good overview of what's happening in the O'Reilly Media booth at PhotoPlus. As you may know, they are my publisher, as well as the publisher for lots of other interesting people. If you're attending PhotoPlus, you might want to bookmark this O'Reilly Schedule of Events. I also want to remind you that there are new Adobe Camera Raw updates available, as well as for Lightroom 2.1 and a minor update for Aperture. If you're using any of those apps, you might want to download those and get them installed. I'll also be posting tidbits from the show on Twitter. So you can follow along there too. I just got word that a limited batch of The Photoshop CS4 Companion for Photographers will be delivered to PhotoPlus Expo. That means visitors to the O'Reilly Media booth will be able get a first look at the CS4 guide written specifically for photographers. It will also my first look at the printed version of the book. If you're coming to PhotoPlus Expo, then be sure to stop by the O'Reilly booth for a peek. This is interesting. A Carl Zeiss spotting scope with integrated digital camera. It's like the marriage of peanut butter and chocholate. You can observe and photograph at the same time. It's called the PhotoScope. 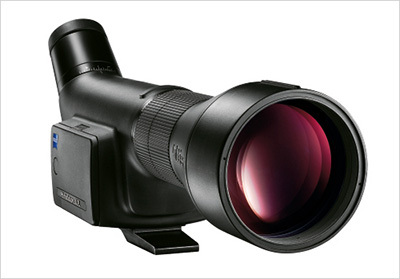 They started with a premium scope with Carl Zeiss optics providing 15-45x magnification. Then added a 7MP camera that captures in both Jpeg and DNG (Raw). The result is a lightweight, versatile device for outdoor enthusiasts. "Unlike SLR cameras with a hinged mirror, the beam splitter projects the image to the 7 megapixel sensor with low noise and, above all, without any vibration. The camera is triggered by an electronic remote-control. This avoids blur caused by camera shake which is always a problem with such extreme focal lengths," says the documentation. Carl Zeiss will release the PhotoScope during spring of 2009. No price has been announced for it yet. I've warmed up to the built-in camera for the iPhone, but now, thanks to CameraBag (available in the iTunes App Store), I'm actually having a blast with my iPhone. CameraBag is a processing application that enables you to crop, then apply different "cameras" to your captured image. Each "camera" has a different look. Some convert to B&W, others fade, and one boosts colors in a very interesting way. My favorite cameras are the: "Helga," washed out highlights and vignetting; "Lolo," vibrant, color boost; "1962," clean black and white; "Ansel," smooth gradation from black to white; and "1974," faded with a tint. You can take a picture on the spot and process it, or you can reach into your camera roll, pull something out, and play with it. Suddenly, that library of images you have stashed on your iPhone are valuable assets for image play. 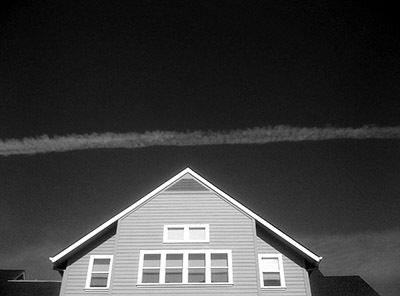 Here's a shot of O'Reilly Media headquarters in Sebastopol with vapor trail. Image was recorded with an iPhone and processed with the "Ansel" camera in CameraBag. 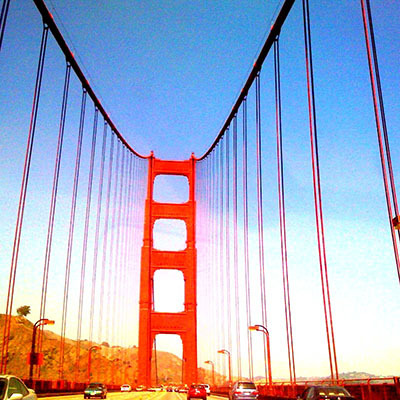 And here's an iPhone shot of the Golden Gate Bridge processed with the "Lolo" camera in CameraBag. These images were manipulated only with CameraBag. I then sent them to my flickr page via the email function in the iPhone. This means I can shoot, process, and publish -- all from my mobile device on the go. CameraBag is on sale right now for $2.99 in the App Store. You can download it through iTunes, or directly from your iPhone. It takes about 15 minutes to get comfortable with the controls. Once you get comfy with it, I think you'll have a blast... and produce some terrific imagery with your little ole iPhone. 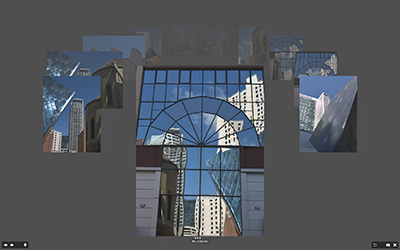 I'm in NYC next week teaching at PhotoPlus Expo! What a day of announcements on Tuesday. If I were a rich man, I'd have an entire new post-production rig. Here's what's tempting me. Apple created the new MacBook Pro 15" that's carved out of a solid piece of aluminum. Reports are that it's super sturdy and a testament to machine engineering. It supports a 15-LED display. I have one of those on my 17" MacBook Pro, and I can tell you they are great for photographers. 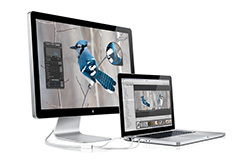 They warm up instantly so you can get right to color-managed image editing. The configuration I'd want for the 15" MacBook Pro would include 2.8GHz Intel Core 2 Duo, 4GBs Ram (that comes standard), and the 250GB Serial ATA hard drive that spins at 7200 RPM. Price: $2,749 US. Along with the new MacBook Pro, Apple released the 24" LED Cinema Display that incorporates the same cool LED technology plus has a built-in iSight camera, speakers, and integrated MagSafe connector for charging your laptop while you have it connected to the monitor. Price: $899 US. Don't forget Aperture 2, preinstalled. When you buy the MacBook Pro, you can get Aperture 2 (Apple's pro level photo management software) installed on the hard drive for $199 US. I'd definitely include this. 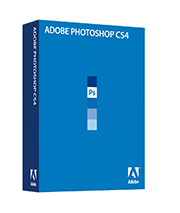 Then, at 9pm last night, Adobe announced that is was now shipping Photoshop CS4. This is the application that I've been raving about for the last few weeks. It performs smoothly with new features such as fluid canvas rotation, OpenGL zooming, new adjustment panel, improved Bridge, amazing ACR, and much more. You can upgrade to Photoshop CS4 for $199 US. Along with Aperture, CS4 rounds out the photographer's workbench providing you with everything you would need. So bottom line price for the whole she-bang? A mere $4,046 US. But what a set up! I better get to work and line up a few more jobs. I've just posted the first screencast in a series of eight focusing on building a photography workflow with Photoshop CS4. These videos will run once a week for the next couple months. I'll be on the East Coast during October 23-25 for PhotoPlus Expo, spending plenty of time on the Expo floor in the O'Reilly Media booth. In addition to chatting with visitors in the booth, I'll be leading talks on Photoshop CS4 for Photographers and Photo Management (DAM). I'm also on the PhotoPlus faculty, teaching Five Ways to Work More Efficiently in Photoshop (Friday) and Aperture Best Practices (Saturday). You can find all the details on the PhotoPlus Conference Schedule page. Whether you come to class or just stop by the O'Reilly booth for a visit, I hope to see you next week in New York. 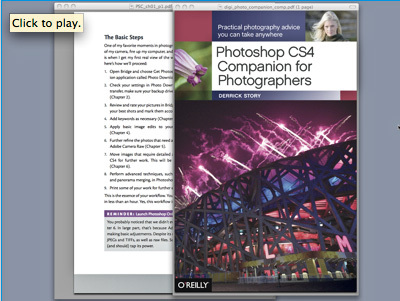 The The Photoshop CS4 Companion for Photographers is available for preorder. Learn more about it here.